Last week was the first time this summer that we had BBQ. 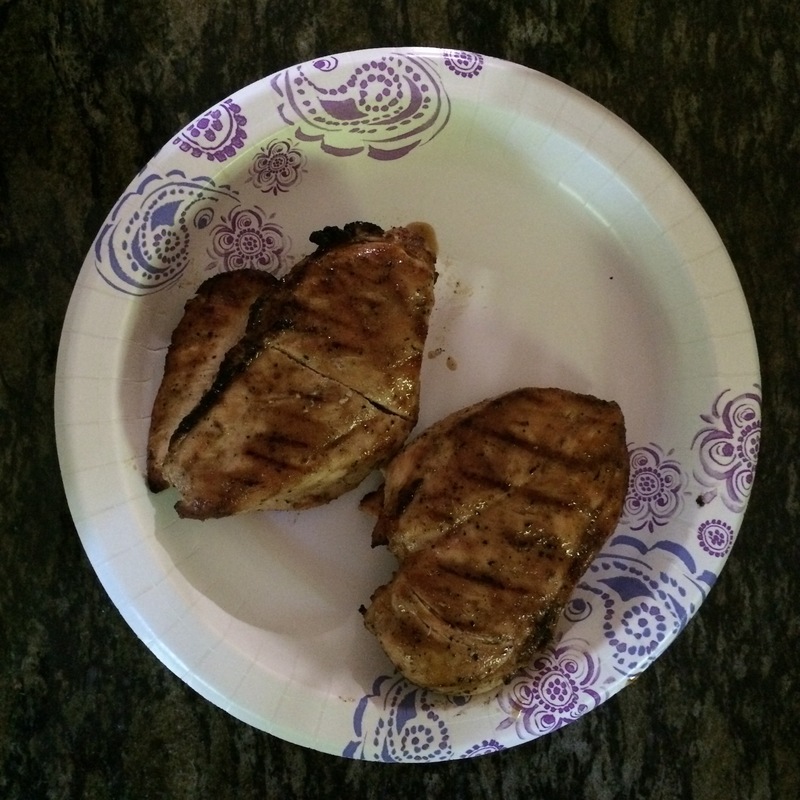 My husband is a true carnivore and he loves eating meat. BBQ is one of my husband’s passions. For him , it is artistry. Now, my husband can only eat meat once a week and he must have 1 vegan or plant based meal a day. Most of the recipes posted on the blog are my efforts to create healthy vegan meals for him. So, last week he surprised me. I put the cutlets in a bag and with a mallet, I pounded them thinner. I find they cook more evenly this way. Then I put in the oil and vinegar and spices and let them marinate while the coals heated up. For my husband, BBQ is a culinary ritual. He likes to use charcoal and not gas to get a smoky flavor. 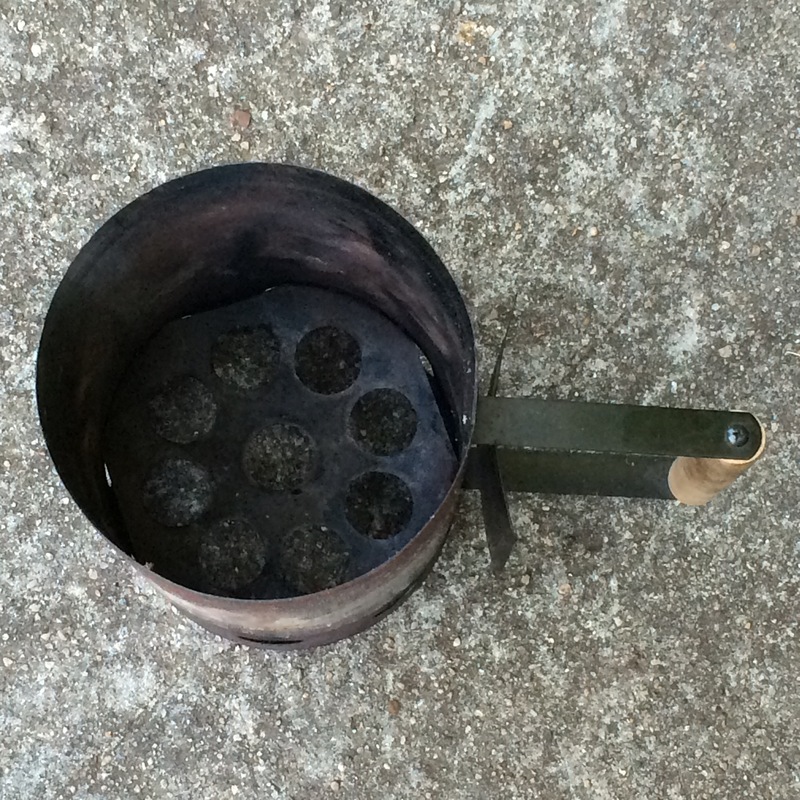 We can use it to start the coals without kerosene, which is MUCH healthier. This is a great tool. 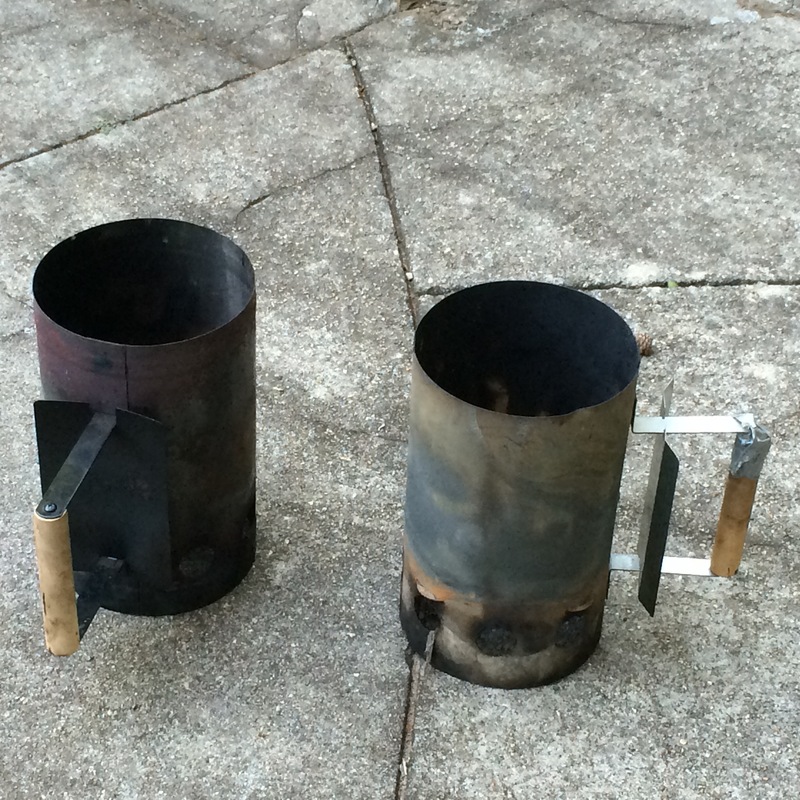 You put the coals inside and newspaper or kindling underneath, light the kindling which in turn heat the coals. Then once they are white hot, you put them in the BBQ. 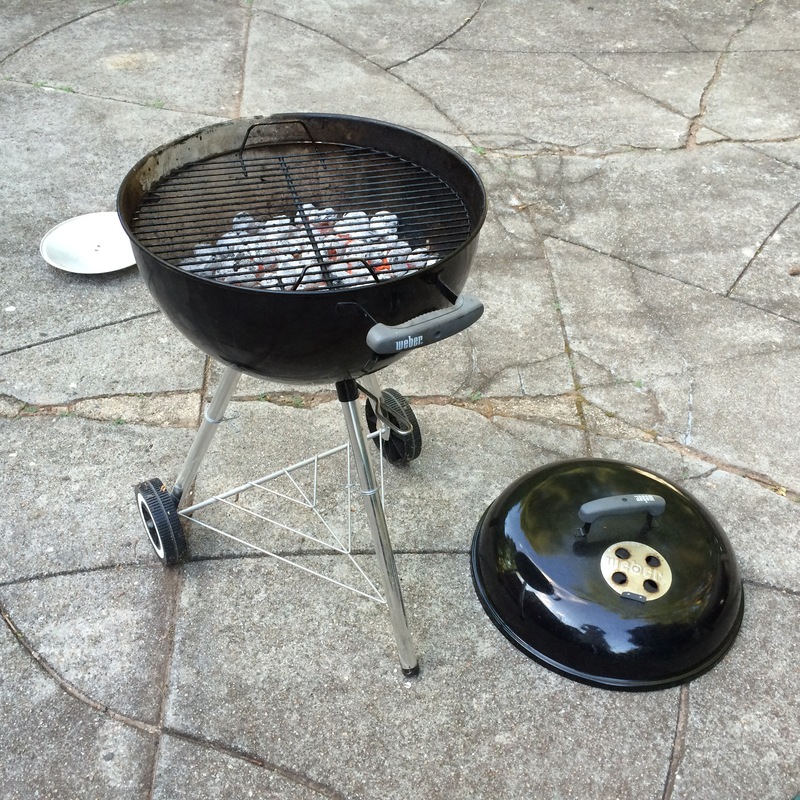 After experimenting with many different kinds of grills, my husband feels that simple ones are best. I love hearing about your family!! The bbq is so cool, yes simple is often times the best! The chicken looks simply amazing!! Thanks for sharing this with us! My pleasure. I am having fun! I am so glad!!! you are an amazing lady!! As are you! I love your posts. Thanks dear, I love yours as well, hope the family is well!!! Loved the chopsticks so cute!